black butler. . HD Wallpaper and background images in the black butler club tagged: photo black butler kuroshitsuji manga character lau bardroy finnian vicomt druitt william t. spears ash agni soma sabastian. 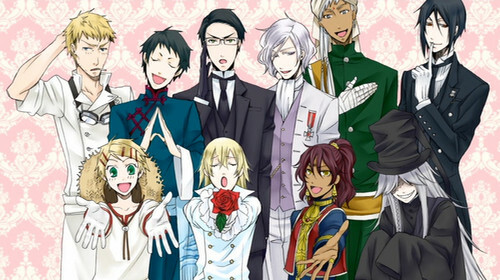 This black butler fan art might contain anime, komik, manga, and kartun.